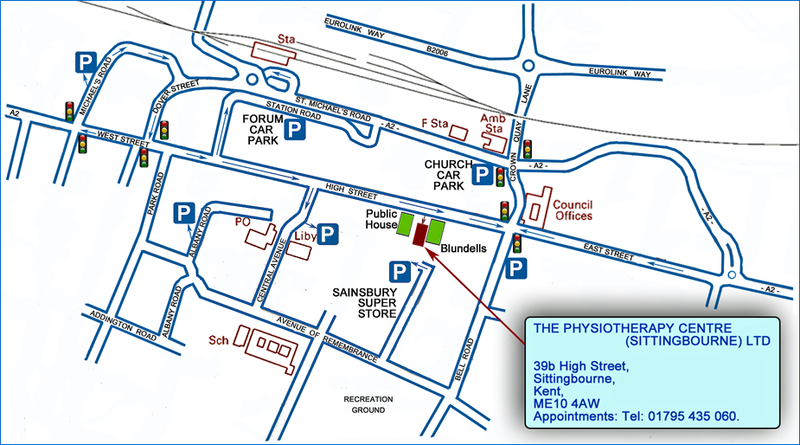 The Physiotherapy Centre expanded its business in 2013 to offer consultations and treatments in both Sittingbourne and Gillingham. 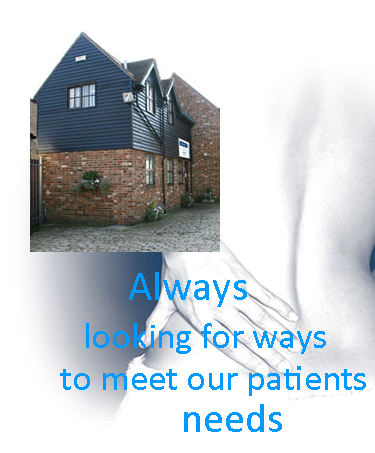 To make an appointment at either Clinic please contact our Reception staff in Sittingbourne. Contact us. Accessibility. We have Disabled Access and treatment facilities on the ground floor of our Sittingbourne Clinic. Please ask for advice on disabled parking when you book your appointment. Our clinic sits behind No. 119, Watling Street (A2 - south side), Gillingham, ME7 2YX - with its entrance in Derby Road. Parking is on-street down the side-streets. 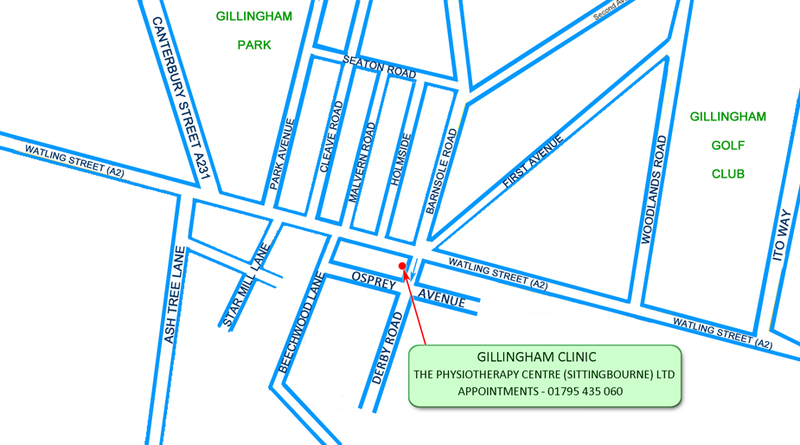 To make an appointment at our Gillingham Clinic, please contact us.